Taroudant is located just over an hours drive from Agadir in the in the Sous Valley, with the snow peaked High Atlas mountains setting as the city’s backdrop. This authentic walled city is surrounded by magnificent ramparts covering roughly 6 km in distance, and it is within these beautiful honey toned walls you will find a traditional market town know for its traders and local crafts. 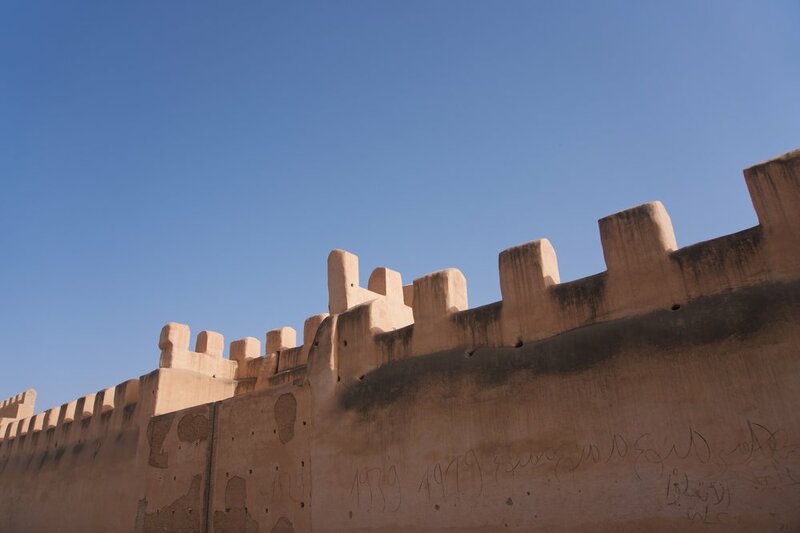 Taroudant is often referred to as “Little Marrakech” due to its similar walls and ramparts surrounding the city, as well as the bustling souks. However the comparison ends there, as it is a much quieter, less touristic and slower paced version of Marrakesh which makes for a great contrast. We recommend you take your time strolling around the historical inner medina, exploring the winding streets, colourful markets and open squares. 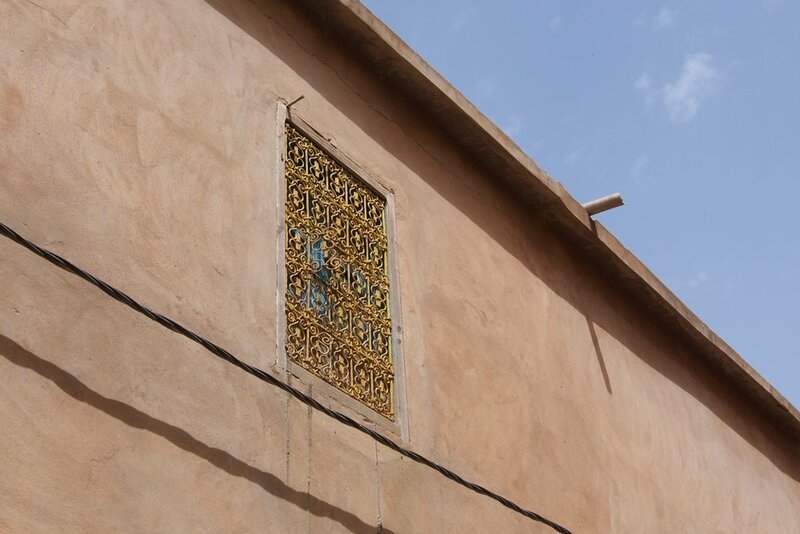 There are two main souks in Taroudant - the ‘Arab’ souk and the ‘Berber’ souk both offering a wide range of produce from dried nuts and dates, through to the infamous silver jewellery, leather, carpets and terracotta. The main square (Place Assarag) is a perfect spot to take some tea or lunch and watch the world go by. Want to explore a little further? You can hire bikes or take a horse and carriage tour around the outer walls - spot the nine city gates and get a different perspective of the city. 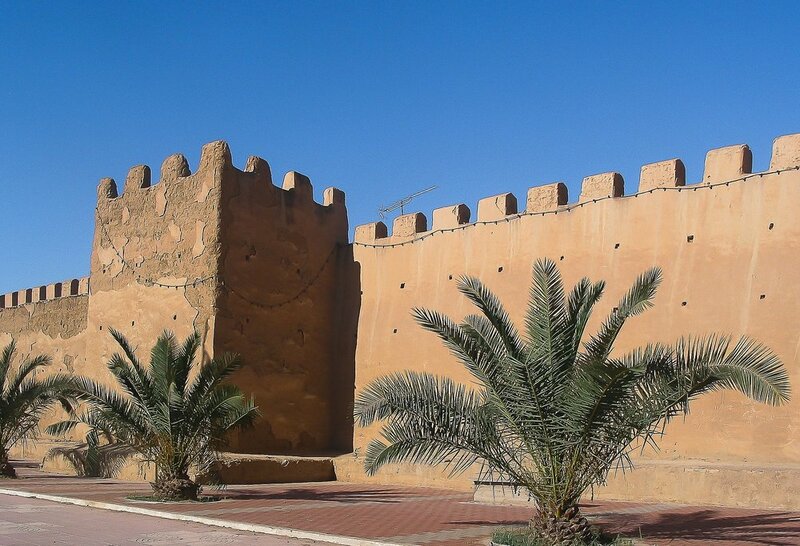 We love Taroudant as a day trip, and hope you will too!